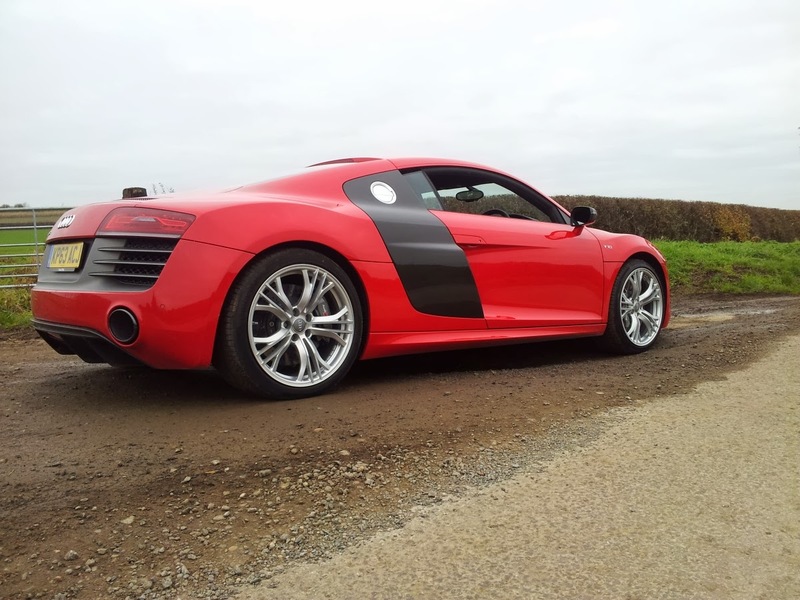 The standard Audi R8 V10 is a fine motor. An everyday usable supercar, but for some not extreme enough. It seems not everyone wants a supercar to use every day and so Audi have released the V10 Plus which is a faster, lighter more focused version. What’s not to like? 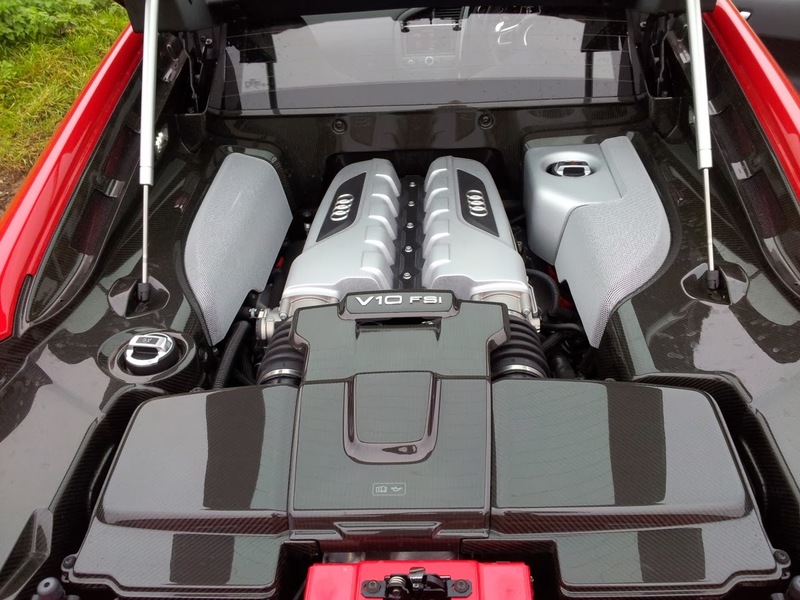 The V10 Plus is a £12k premium over the V10 and is only available as a coupe for now using the same 5.2 litre V10 Gallardo derived engine but with a higher state of tune. This is achieved through engine mapping and improved breathing to release an additional 25 bhp taking the count to 542 bhp - still some 10 bhp shy of the Gallardo though. Presumably the VW Group wants to retain the Lamborghini as their ultimate expression of the mid-sized supercar. With an extra dose of power and torque (up 7lb/ft)combined with a 50 kilo diet means the Plus is some 0.2 seconds faster to 60 managing the sprint in 3.5 seconds and topping out at 198mph, just 3mph more than the non Plus. The weight loss has been achieved through the use of carbon fibre on the body aero and brakes, the deletion of the Band & Olufson HiFi, manual sports seats and the removal of some sound deadening. The final job was with the suspension and out goes the magnetic dampers which are replaced with stiffer springs and fixed rate dampers set up for a more sporty ride. From the outside the giveaway is the front lip spoiler, side blades, door mirrors and rear diffuser in carbon fibre and the quality is amazing, the weave perfect with a mirror finish giving the body a little more aggression. The final exterior changes are black exhausts tailpipes and front grille surround while the front and rear vents are finished in a dark grey. The wheels are the same size as the non Plus at 19” but are a double spoke ’Y’ spoke design and come in a variety of finishes. 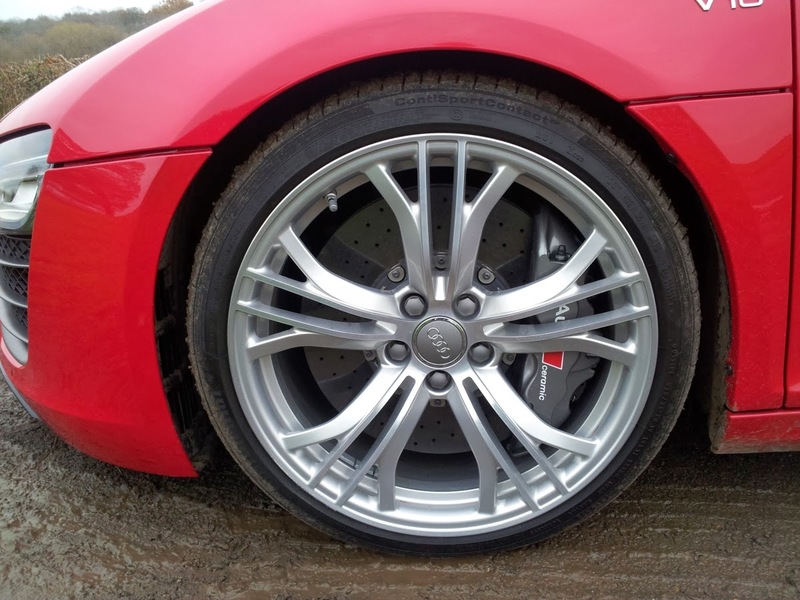 These help show off the standard fit carbon ceramic discs with 8 pot front and 4 pot rear calipers. Lift the heavy glass engine cover and you are greeted with one of the best engine bays in the business. The outsides are surrounded by carbon fibre with the huge carbon airbox at the front leading to the plenum chambers sitting in pride of place. There’s probably no weight saving using carbon fibre over plastic here but the view is worth every penny of the premium over the non Plus. The inside is massively improved with the fitment of some winged sports seats with integrated headrests. The one criticism I had with the standard car is that the interior lacks some sparkle and the Plus is a huge improvement with seats which look like they belong in a supercar. 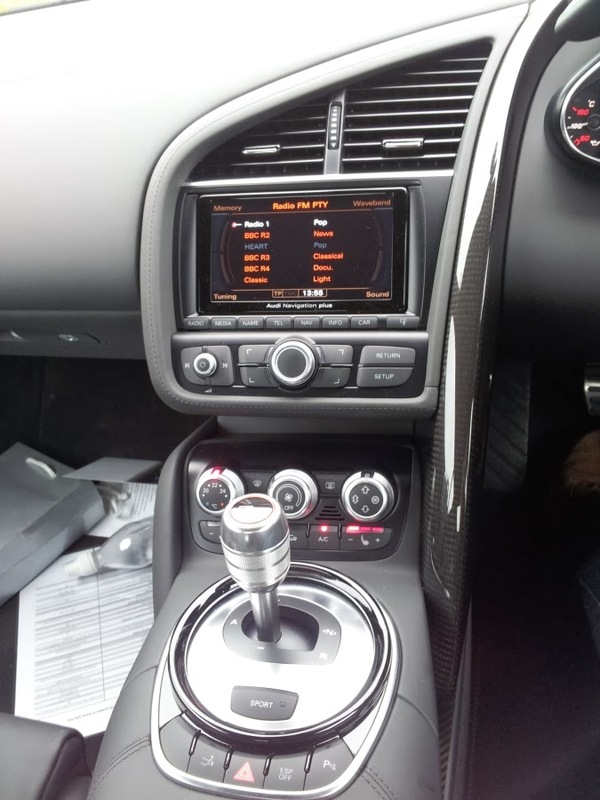 The steering wheel is slightly fatter and more defined with perforated leather on the sides and there’s some carbon fibre inserts on the doors and dash as standard which is optional on the rest of the range. 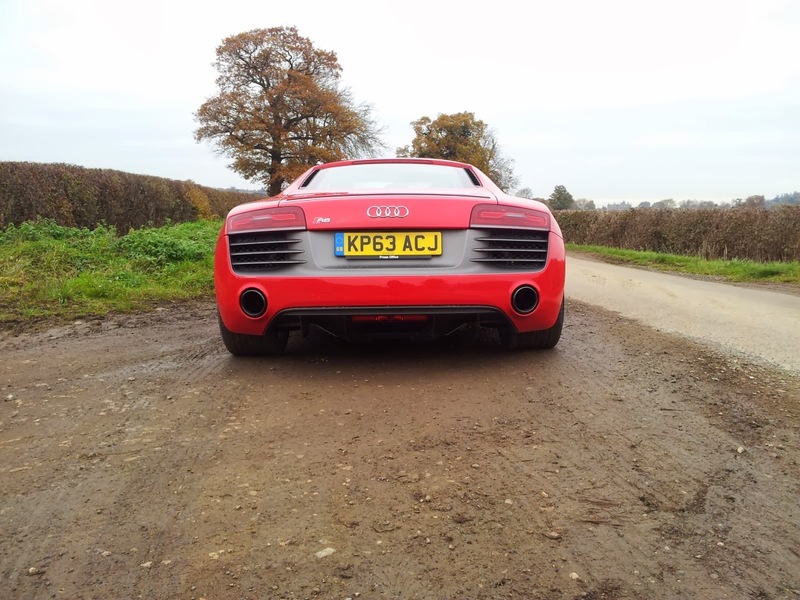 The engine starts and idles the exactly the same as the V10 and the only evidence of Plus is when you set off. The ride is firmer than the standard setting when on magnetic dampers, but it’s actually softer than when they are in sport setting. It handles speedbumps fine, having both clearance and composed damping not at all crashy just controlled. The engine’s the same tractable unit with the Quattro set-up still offering 70% rear bias and it only feels improved - more powerful - when in sport mode which alters the fuel mapping and gearbox attitude for a more dynamic experience. As I travel down the long drive to exit the car park in Sport mode it feels like an airplane ferrying down a runway waiting to take off. 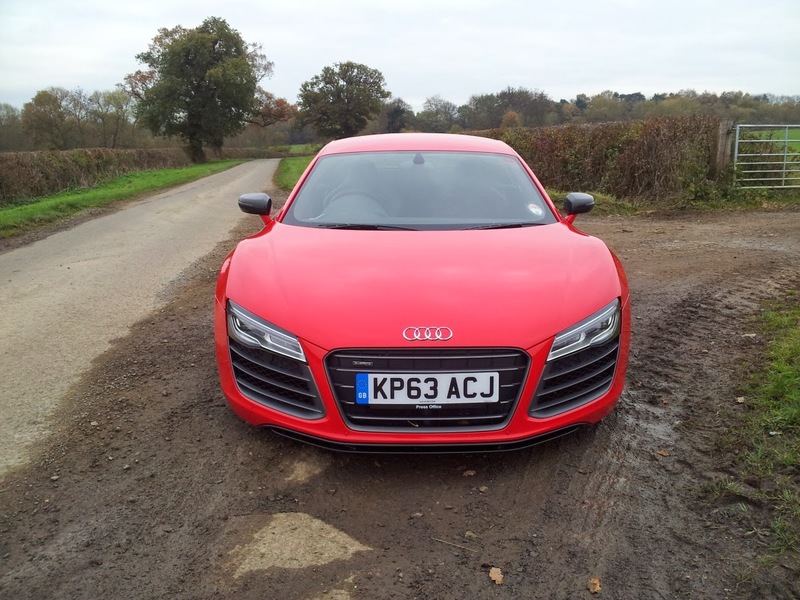 It holds much higher revs than previously and makes the car feel edgy. The acceleration is mind blowing. The way the engine ferociously picks up speed has the rear end squirming out of tight corners. It’s completely usable though with the front wheels partly helping out but it wants to play more than non Plus - maybe it’s a little less looser on its fixed rate dampers or maybe it’s the extra slug of power but it’s definitely more fun and will be more playful on the track. One thing it’s doesn’t like in Sport mode is hesitation. If you are not committed with the throttle it can stutter quite violently and make you feel a bit of an idiot. You have to be on the ball as it’s so highly strung it will bite you if you are not positive with your right foot . There’s almost a direct correlation between squeezing the throttle and the speedo rotating clockwise, like you thought would happen as a child, and just doesn’t occur on ‘normal’ cars. The acceleration from lower speeds has the front end lifting like its trying to pull a wheelie. This didn’t happen in the V10 so I put it down to the fixed rate dampers but as the speeds increase the effect calms down. The damping at speed is not as brutish as the magnetic cars' in Sport mode which is a good thing for making progress and it’s not as harsh as I have read in reports. There’s more of a connection with the road and greater feedback without the magnetorheological dampers and whilst bumpy roads and potholes didn’t upset it at all but it would be nice to have a button to give it a little more composure at lower speeds when you don’t want to flat out. One massive improvement over the standard car is the engine noise, with it now sounding like the window between the cabin and the engine bay has been left open so the engine is much more audible than the standard car. This is down to the removal of some sound deadening and I also suspect some larger diameter intake tracts from the engine bay so the V10 howls and echos around the cabin and really gets you in the mood for driving. 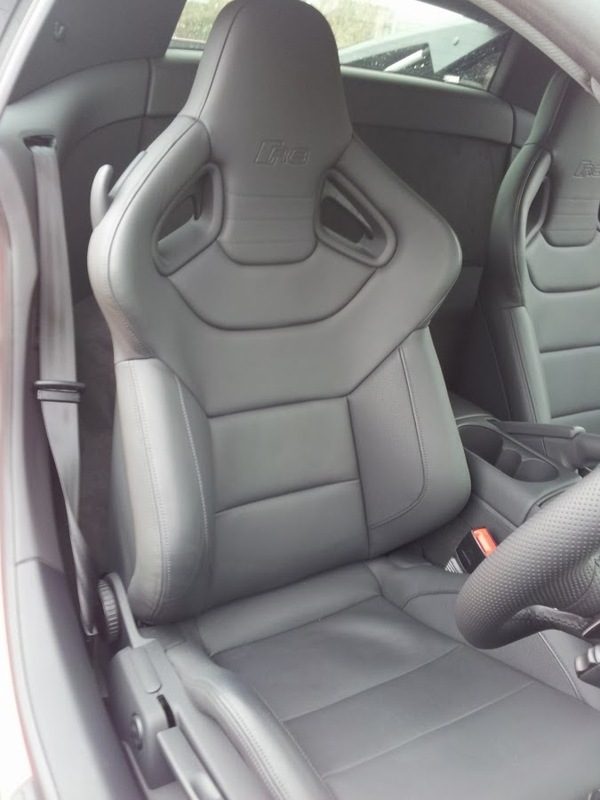 The bucket seats (I really hate that term!) feel lower and offer greater lateral support over the standard items and are tuneable for hip and thigh adjustment with a small switch at the front of the seat and do a great job of keeping things in firmly in place. The rest of the seat is manually adjusted along with the deletion of seat airbags in order to save weight. They are very comfortable and not at all a race type seat but offer as much support as you would require on the road or track with the hip and thigh support being separately adjustable which I have never experienced before. The carbon ceramic brakes have supreme stopping power and scrub speed off as quickly as the V10 can add it but can be a little grabby. They need a bit of pedal pressure to get them to bite and then slightly more pressure gets pretty much everything they have to offer. I personally would prefer steel discs which offer greater modulation but as this is a car which is more likely to be used on the track the carbon stoppers will be fade free hour after an hour so you can have more track time. Back to the engine which dominates in the Plus, it does feel more special more racy than the non Plus and helped massively by the additional sound reverberated in the cabin, the acceleration’s about as much as you want in a road car and really as much as you need in a track car. After an enthusiastic session and backing back down to normal speeds your brain and body feel underworked and your realisation of speed dumbed down. It reminded me of when James May nearly opened the door of a Veyron at 70mph after previously maxing it out at 253mph. The Plus adds an extra layer to the V10, a sportier side but not compromised too much toward the track like an RS Porsche, maybe more orientated but certainly not one sided. In Sport mode it can be a little too much, the downchange blips too attention seeking and the midrange too jerky on a part throttle, so much so that button may well get you an ASBO. The fixed suspension is more emotive than the magnetic set which can feel quite clinical and as a consequence it has a more natural playful ride offering more character to the R8 experience. The pick of the range is definitely the Plus only I would prefer mine with steel discs for a more feelsome experience. Considering we've only just come out of a recession there’s lots of stiff completion out there with the Lamborghini Gallardo LP560-4, McLaren MP4-12C, Ferrari 458 and Porsche 911 GT3 which are all spectacular automobiles but have different characteristics, practicalities and looks. The choice ultimately boils down to personal preference. The R8 Plus would stand up well to all these cars and in a shootout would no doubt hold its head up high. What I can say is that the V10 Plus is a properly special road car that would be as happy on a track as on the road but offers a more extreme and playful edge than any previous R8. 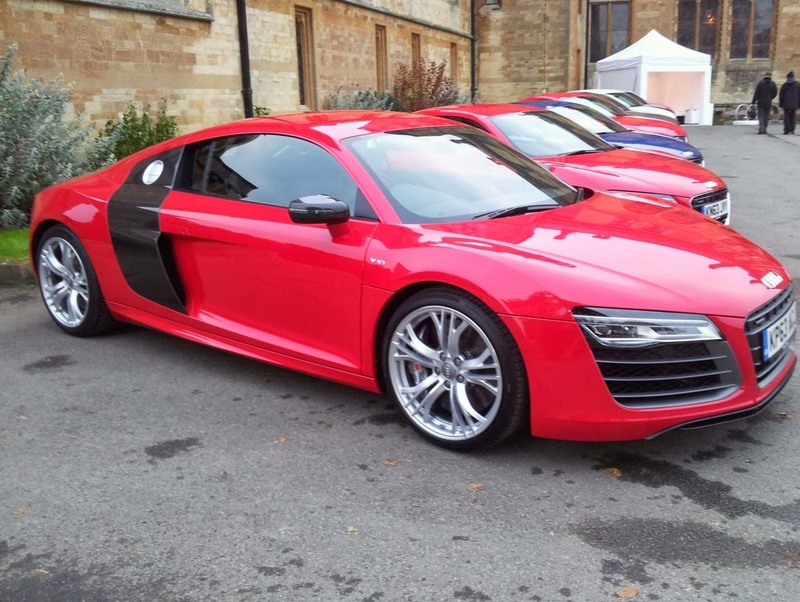 The R8 Plus is still a supercar in a suit, but in this guise it’s a tracksuit!